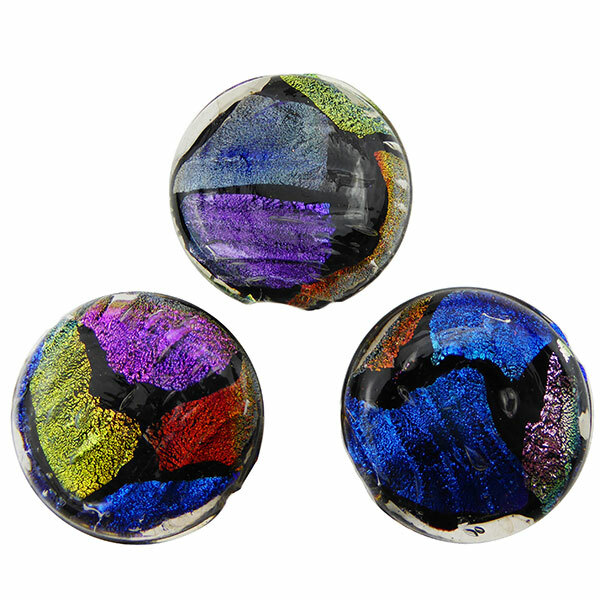 Limited Edition: Venetian Glass Bead in our Dichroic Glass. They are large and beautiful about 30mm coin. A 1mm hole runs through the center. 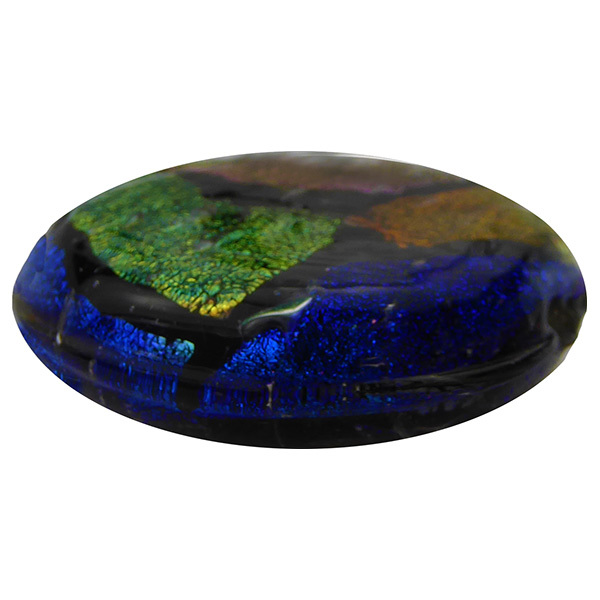 Use a single bead as a centerpiece of an exquisite Venetian Glass Dichroic Necklace. Note: Dichroic glass is glass containing multiple micro-layers of metals or oxides which give the glass optical properties which displays an array of different colors depending on the angle of view. It is high tech thin-film optics in an artist environment. Each bead will display different colors. 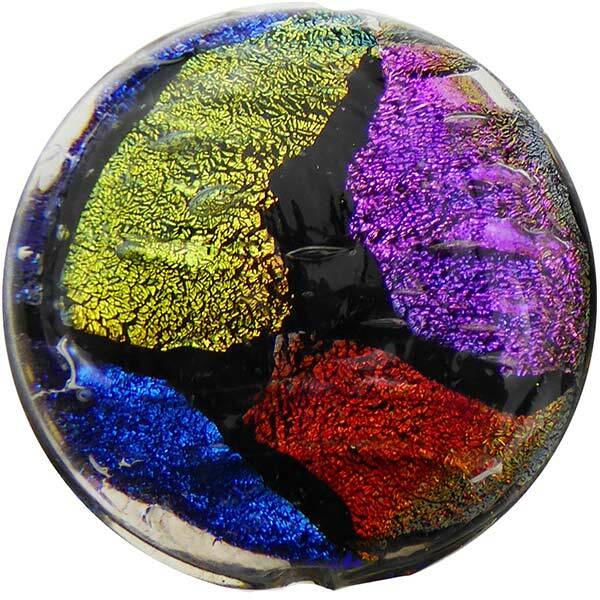 The Murano Glass is first shipped to the US for the vacuum application of dichroic and then returned to Italy to be use in our beadmaking.